There are a lot of literary festivals about these days, but they are not all the same. 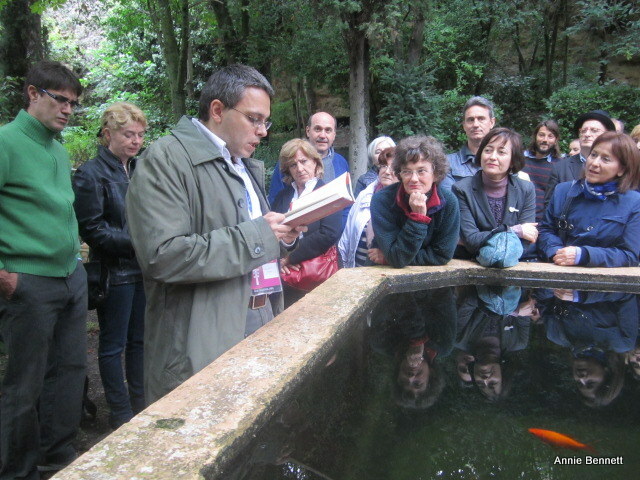 The major events may be similar, with famous writers promoting their latest books, but it is the smaller events on the programme that really give a festival its character and often prove the most memorable.One of the special things about the Hay Festival in Segovia is that the events take place in historic buildings, some of which are not usually open to the public. My favourite festival venue is however not a building but a garden, hidden down a lane by the Eresma river on the outskirts of the town. The Romeral de San Marcos was created by the artist and pioneering landscape gardener Leandro Silva – who died 12 years ago – who also restored the Botanic Garden in Madrid. His widow Julia Casaravilla kindly opens it up during the festival. 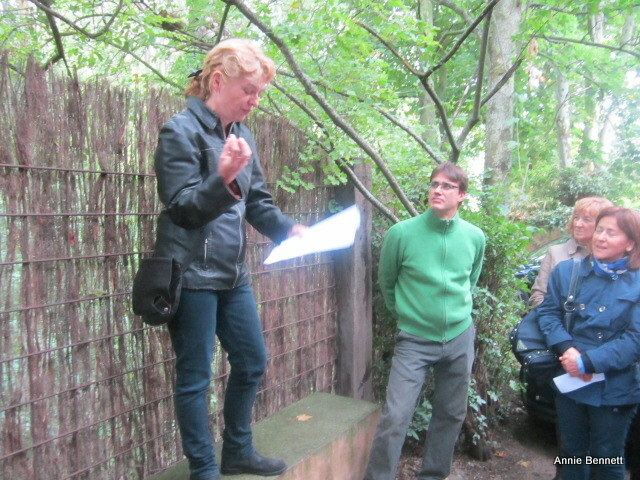 Silva bought the abandoned, south-facing site on the banks of the river Eresma in the early 1970s and laid out the garden with 300 plants on a series of terraces on a steep slope. It was known by the very poetic name romeral because rosemary had traditionally grown there, as well as thyme and lavender. The plot is almost hidden under an extraordinary canopy of ochre limestone rock that is estimated to be around 100 million years old and is the feature that shaped the development of the garden. He roped in various geologist, biologist and other expert and creative friends to help him overcome the difficulties presented by the climate and the terrain. 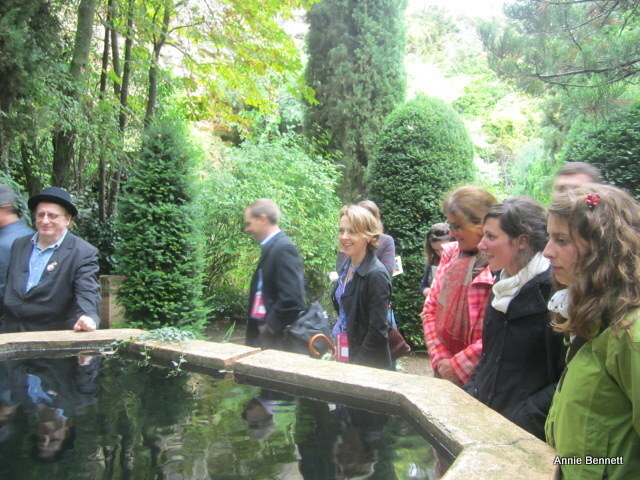 On a Saturday afternoon at the end of September, with autumn already in the air, we gathered around the raised goldfish pond in the Hispano-Islamic part of the garden. 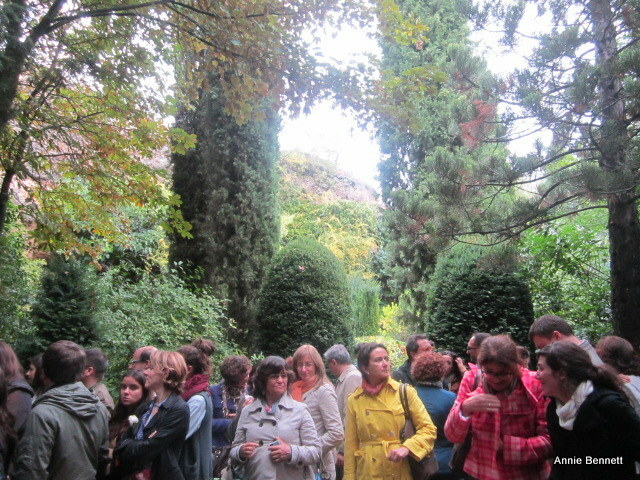 There were 60 or 70 of us, from all over the world, surrounded by the lush foliage provided by quince and pear trees, with the soothing sound of water gently trickling all around in the channels that Silva created throughout his garden. Writer and media director Félix Valdivieso recited poems by Gil de Biedma and Machado, and broadcaster Ann Bateson gave an evocative performance of works by British poets including Robert Graves and Robert Browning. The Hungarian novelist and translator György Dragomán read Tulips, a funny and poignant chapter from his novel The White King, which left everyone wanting to know more about his main character, a young boy who is growing up in a communist dictatorship. 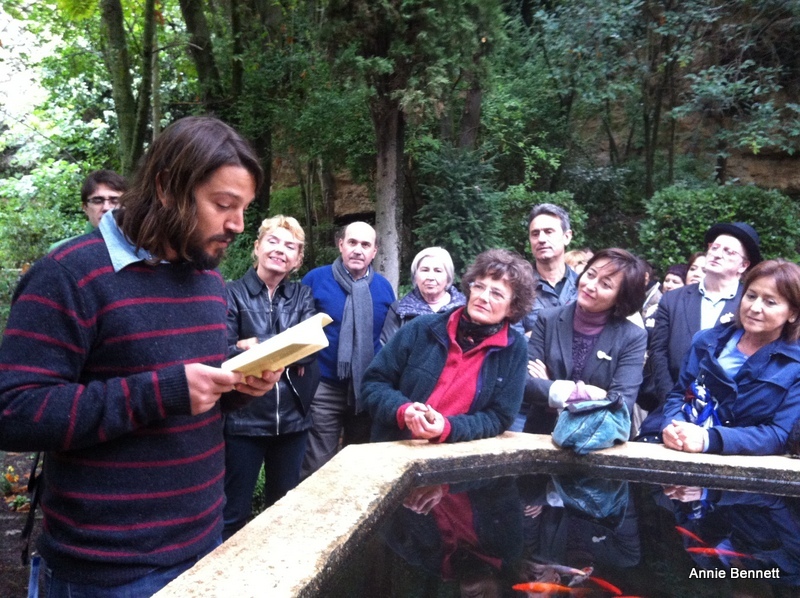 The Mexican actor Diego Luna read the Allen Ginsberg poem Sunflower Sutra, from Howl, which he performed at the Teatro Juan Bravo in Segovia during the festival. Although the four participants were performing very different things in very different ways, it somehow all worked there in the magic, secret world of the Romeral de San Marcos.